Tired of missing ChiSox games? We'll show you how to stream every game online so you don't miss a single play. The Chicago White Sox began the 2017 season on a good start but things went downhill shortly after that and the team finished with the fourth worst record in the MLB with 67 wins and 95 losses. The White Sox have moved on to Phase 2 of their rebuild and this year they will incorporate their top prospects into their roster, but will it be enough? 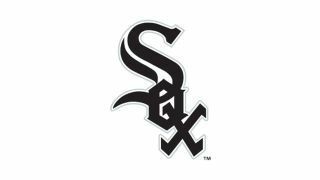 With one of the most loyal followings in the game of baseball today, this guide will show you the best ways to watch your beloved ChiSox wherever you live in the world. Fans of the White Sox know just how difficult it can be to catch every game live without an expensive cable TV subscription and thanks to MLB blackouts you'll still miss home games at Guaranteed Rate Field. If you're a cord cutter living in Chicago or a White Sox fan living outside the US, we'll show you how to stream every game this season online so you won't miss a single pitch. When it comes to streaming baseball online, your first choice has to be MLB.TV. Not only does it have the most extensive game coverage, but the devices it supports are really varied, too. You can watch every out-of-market regular season game live on MLB.TV. Or if you prefer to see the games in HD you can view them on demand. MLB.TV’s out-of-market yearly packages are the best for value and you can choose whether you want to watch all the teams in the league for $115.99 a year or just follow a single team for $89.99 a year. MLB.TV works on all of the most popular streaming devices including Apple TV, Chromecast, Amazon Fire TV, Xbox One, Playstation 4 and many others so you’ll never miss a game no matter where you are. 2. NordVPN: SmartPlay tech makes NordVPN a great choice for streaming. If you live in Chicago and don't want to pay for local cable television just to watch some baseball, catching the White Sox live is made very difficult for you. Because the MLB agrees exclusive rights for those stations, MLB.TV can't broadcast as the action happens. You have to settle to watch the game 90 minutes after it ends. But using a VPN is a handy -and legal - way around this. Once you've signed up to an MLB subscription, grab one of our recommended VPNs and log in. Then use a server in another state and watch the White Sox wherever you are. MLB.TV won't be for everyone. If you want a paid option that includes other television and sports, then going for a more all-encompassing plan might be better for you. Below are some other options to consider. But remember that the same applies if you're trying to watch the White Sox within Chicago or are trying to watch a blackout game - you'll need a VPN to do so, so check out how to do that above. Thanks to a deal between Facebook and Major League Baseball, you can stream 25 afternoon games in the US for free right from the social network. All of the games will take place on weekday afternoons (primarily on Wednesdays) at the MLB Facebook page, but this is a free option that gives you a taste of what it’s like to be able to stream MLB games from your browser. Following in Facebook's footsteps, Twitter has the right to live stream an MLB game every week during the regular season. You can watch all the action live at live.twitter.com/MLB. ESPN+ offers fans a dynamic lineup of live sports, high-quality original shows and films, exclusive studio programs and an unmatched on-demand library. And it's really cheap, costing only $4.99 per month. When it comes to MLB, ESPN+ is featuring one MLB game each day, seven days per week throughout the MLB regular season. That means won't be the comprehensive option for White Sox super fans. But if you’re interested in following the MLB as a whole and want to catch up with other big games, than this service could be a good fit. DIRECTV NOW $50 per month - DIRECTV NOW gives users all the channels needed to watch MLB online and also comes with some extra channels as well. If you want a lot of content to choose from and don’t mind watching the games live as the service doesn’t include cloud DVR, then DIRECTV NOW’s 7-day trial will let you test out the platform. Sling TV $40 per month - Sling TV is an inexpensive way to watch baseball though you’ll be missing out on games shown on the MLB Network. The service splits its content into two different TV packages which does make things cheaper though to stream MLB you’ll need to sign up for both. Sling TV is compatible with Apple TV, Roku, Xbox One, Chromecast as well as lots of other devices and its easy to get started with a 7-day free trial. fuboTV $19.99 for the first month - fuboTV has a low introductory price though after that the price goes up to $44.99 a month and includes 70 channels. Unfortunately it does not have ESPN, MLB Network or TBS though it does offer strong local coverage and 30 hours of cloud DVR storage. fuboTV does has a 7-day trial available so you can test out its functionality for yourself.